2.5 million records detailing the lives of the British in India have just been added to FindMyPast's British India Collection. It includes births, baptisms, marriages, deaths, burials, wills and probate records, civil and military pensions, East India Company cadet papers, and applications for the civil service. Index searches are free. The Families in British India Society (FIBIS) has provided some tips for using these records on FindMyPast. Use the records in conjunction with the book Tracing Your British Indian Ancestors by Emma Jolly. It is a superb resource for family historians with a connection to India during the centuries of British involvement with that country. The book discusses many sources for genealogical research, including British Library India Office Records, The National Archives, records of the armed forces, civil service and railways, and religious and probate records. A concise and vivid social history of the British in India makes this book even more enjoyable. When I was in London I had the pleasure of meeting the author, Emma Jolly. In addition to being a well-known genealogist and writer specialising in London and the British Empire, Emma is also the author of My Ancestor was a Woman at War, Tracing Your Ancestors Using the Census and Family History for Kids. Week 2 in the series '52 Weeks of Genealogical Records' is about internal migration (movement from place to place within one country). You may not realise it yet, but many of your ancestors probably did this (maybe only for a short time). 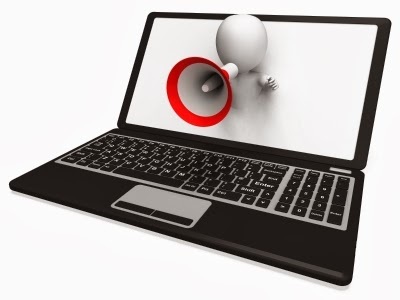 In Australia it is especially important to be aware of such movement because each State and Territory has separate records for births, deaths, marriages, wills, electoral rolls etc. British censuses: To quote an example from my own family tree... George WEBSTER married Sarah GIBLETT in 1829, and various sources indicated that they lived in the Greater London area until they died in 1881. I was surprised when I discovered (from census returns) that two of their eight children were born elsewhere in England (Leeds, Yorkshire, c.1833, and Manchester, Lancashire, c.1843). Hospital admission registers: These are often better than death certificates; and they include biographical details for hundreds of people who went interstate (or overseas) during gold rushes and other mining booms. Many returned to their home State, and you may have no idea that they had moved temporarily. Some name indexes are online. 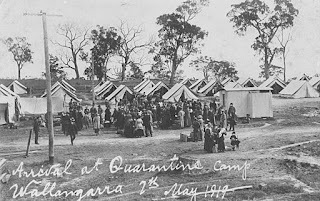 Wallangarra quarantine registers: These give details of people crossing the Queensland / NSW border during the 1918-1919 influenza epidemic. The index is online. Australian electoral rolls: There are online indexes for at least two different series of 19th and 20th century rolls (and some rolls are more informative than others). Strays Collection Australasia: A 'stray' is someone who married, lived or died away from his/her place of birth. This index, compiled from many different sources, has details of thousands of interstate and international strays with a connection to Australia or New Zealand. 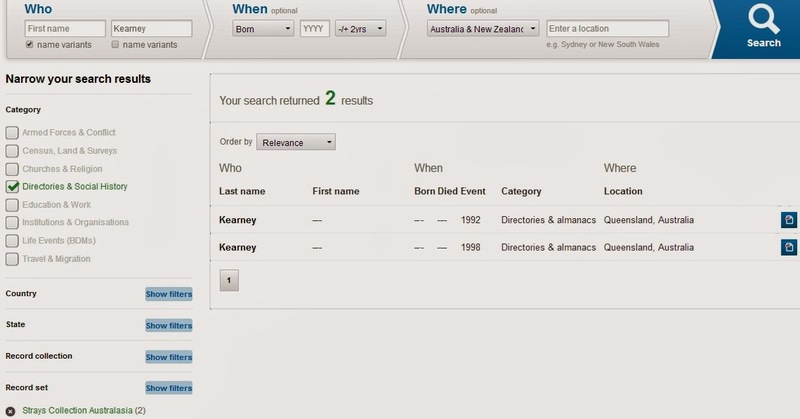 In FindMyPast's records for Australia/NZ, narrow your search results to Category='Directories and Social History', and Record set='Strays Collection Australasia'. Enter a surname only; then click 'Search'. In the results, ignore the event year/location. They have nothing to do with the person, and refer only to an index's publication date/place. Click on the icon beside the entry to view the document (a typed page on which the surname appears, perhaps multiple times - as shown below). As you can see, beside the image of the page there is a section with details of the publication. Note the page number and dataset, which refer to one of several Strays Indexes published by the Queensland Family History Society. Those publications may perhaps give a better explanation of abbreviated source citations. To find Strays Indexes for the United Kingdom (with references from census records, headstones, parish registers etc), go to GENUKI and search for the word 'strays'. A full list of topics in this series is on www.shaunahicks.com.au. This post is the first in a series called '52 Weeks of Genealogical Records'. Anyone is welcome to do all or part of this blogging challenge, and each week Shauna Hicks will add a new topic to this list. 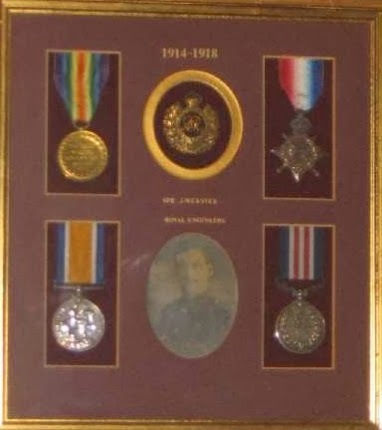 The topic for week 1, military medals, is not particularly relevant to my own family, although a few of my direct ancestors' siblings served in WWI or WWII. Lost Medals Australia, who do a great job of returning medals to family members, sought my help in tracing the next of kin of Terence Edward Downing WEBSTER (a cousin once removed, but a stranger to me). I was able to put them in contact with a descendant of Terence's sister. index of nominal returns of Colonial Forces who made applications for the New Zealand War Medal. There is a British Army Medals index at http://britisharmymedals.blogspot.com/. Topics in this series are listed on www.shaunahicks.com.au.